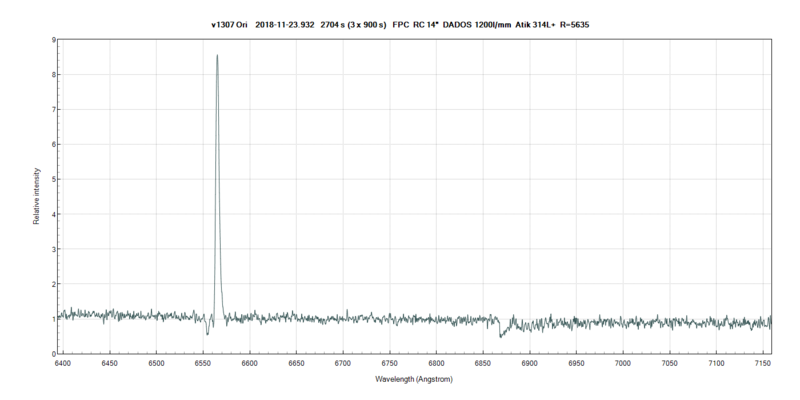 AAVSO Alert Notice 657 announces a campaign on HerbigAeBe stars being observed with Chandra in the coming ~10 days. Please see the notice for details and observing instructions. 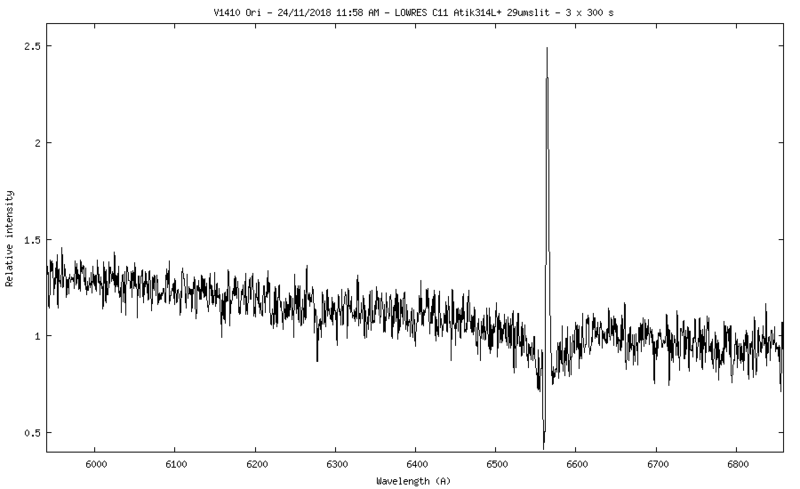 yesterady I took medium-resolution spectra of v1307 Ori and v1410 Ori. I'm not sure if they will be useful or not because the resolution does not match the required R=6000, but they are close. Where can I send the fits? 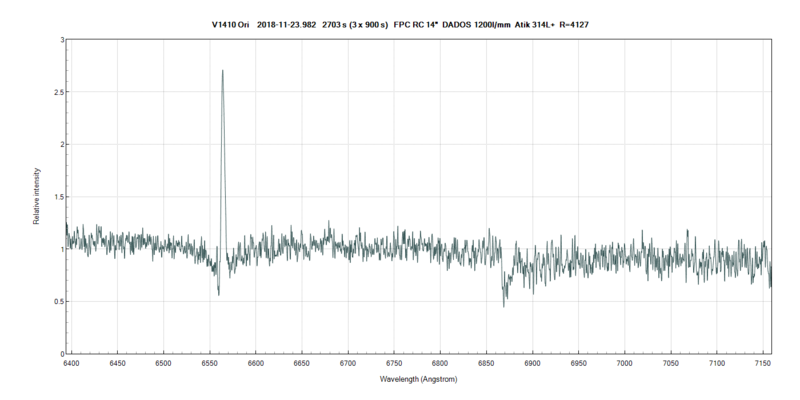 I have also taken a spectrum of V1410 Ori R=5100 so a little below the suggested. It is very near the moon making imaging challenging. Contact me directly for the fit file. Yes Robin I had noted that and have uploaded my spectra to the database. Many thanks to those who are taking spectra for this campaign! 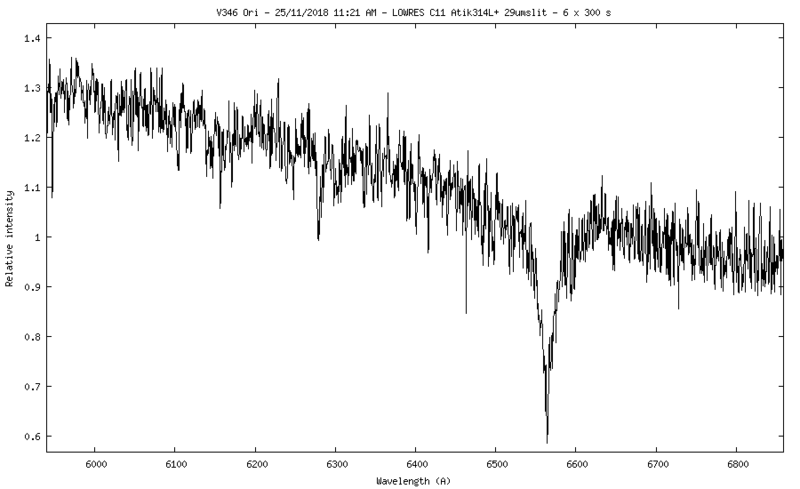 Dr. Guenther has said that spectra may be sent to him at: Hans Moritz Guenther <hgunther@mit.edu>. The alert notice email on 11/21 mentioned possible changes to the Chandra observation dates. Any update on this? Good question, Bill - thanks. The latest Chandra short-term observation list was released yesterday, and one of the HerbigAeBe stars has a revised observation date. V1307 Ori will be observed on November 29, so please keep those observations coming! V346 Ori will be observed on November 28 as originally announced. already send me are very valuable. the mass accretion rate of V346 Ori). stars of the program are observed before we really get into the details. "resolve target", then "search: on the top left). (that's the goal of this campaign). the same time that we look at the X-ray emission with Chandra.